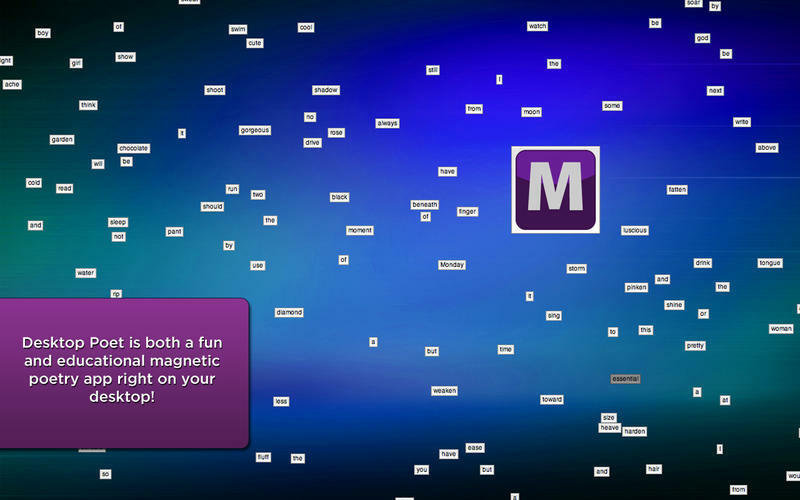 Virtual fridge magnets, create poetry. Is there a better alternative to Desktop Poet? 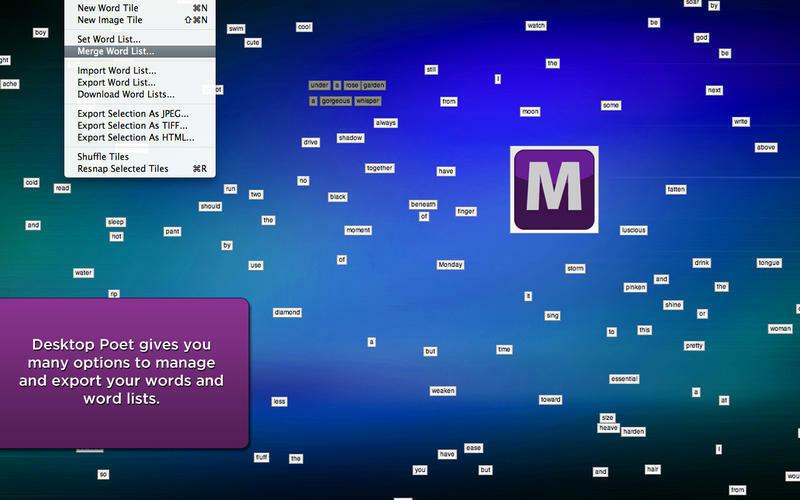 Is Desktop Poet really the best app in Entertainment category? Will Desktop Poet work good on macOS 10.13.4? 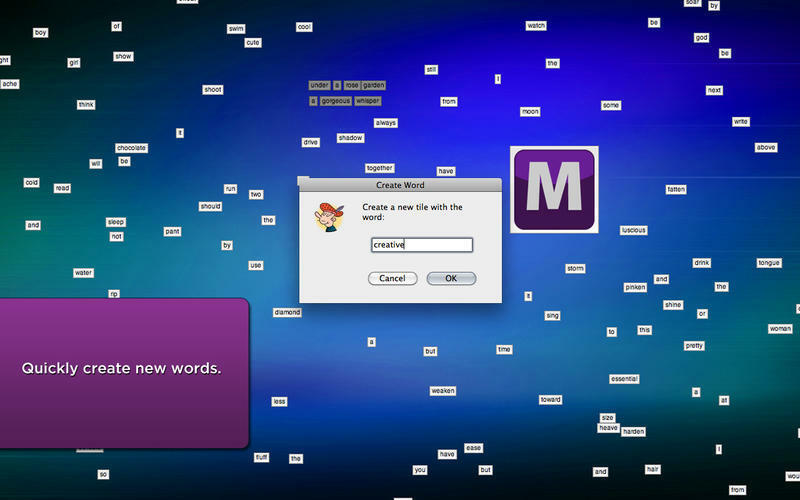 Desktop Poet presents the user with hundreds of word tiles on your desktop or "virtual fridge" area, and by forming the words into sentences or phrases, gives the user the ability to composeimaginative prose or to formulate specific brainstorming ideas. Desktop Poet visually helps the poet or brainstormer create clearer thinking, more imaginative projects, and better organizedwriting by expanding on the free flowing thought process. Desktop Poet needs a rating. Be the first to rate this app and get the discussion started!